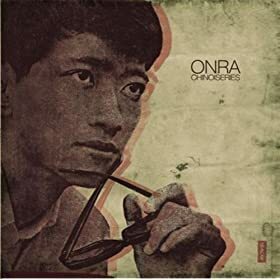 Onra is a young producer from Paris that I had never heard of until discovering his most recent album, Chinoiseries. The samples used here are of traditional Vietnamese music he picked up at a flea market while on a trip there. Juxtaposed with ill beats reminiscent of Jay Dee’s Donuts & Madlib’s Beat Konducta in India, these samples, although heavily oriental, become accessible and enjoyable to any hip-hop lover. The sound of crackling vinyl can be heard underneath everything, bringing you closer to the music & giving it a vintage gloss. Unlike his predecessors, Onra perfects each track leaving little room for mediocrity. In the past, instrumental hip-hop has proven to be either bland or unfinished- sometimes both. For many of these artists, beats were fragmentary ideas for full songs, seemingly thrown together at the last minute with little thought or concern for mastering the tracks. Here, however, we see a perfectionist, a strong believer in his own work, and an artist who is showcasing his talents. Each track, although only around a minute long, flows into the next one and does not fail to excite the listener. It is safe to say that this is my favorite instrumental hip hop album this year (along with Flying Lotus's Los Angeles). In the future I would love to hear some artists rap over these beats and am keeping my fingers crossed that he will gain enough recognition to tour in the United States. Listen to some here and here.